The best city of the word! The city has many beutifull places and other places are very dangerous. In some places they rob you and this is very dangerous. 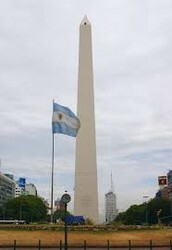 Very people eat "asado" and the asado is important in argentina because the asado is very representative. Palermo, Pink house and a lot of places are recommended to visit. you should go to palermo to walk and go to play football because is recommended because in argentina is good the football. The weather in summer is very hot and in winter is very cold.